Located 300km South of Okinawa, Miyakojima and his tiny surroundings islands, are the quintessential beach destinations. 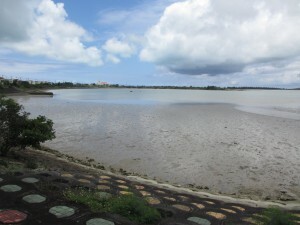 This almost completely flat islands retain a very traditional living, where the day is spent working in the sugar cane fields or fishing with little boats. Miyako ancient culture has survived much better than his famous neighbor Okinawa. Neverthless, with the only luxury of some meals at Restaurants, I couldn’t manage to spend less than 1000$ a month. Miyako maybe the less japanized island in Japan, but they still use the same currency. What’s the strangest thing you’ve seen lately? It’s a custom that they share with most of Asians, but Japanese people take it to extreme level: they go to the beach like they go to a war. They cover every inch of skin they can, wear huge hats, don’t walk barefoot on silky sand, don’t swim without a wet shirt or don’t snorkel without fins and a wetsuit, even if the water is warm enough for my picky Mediterranean habits. 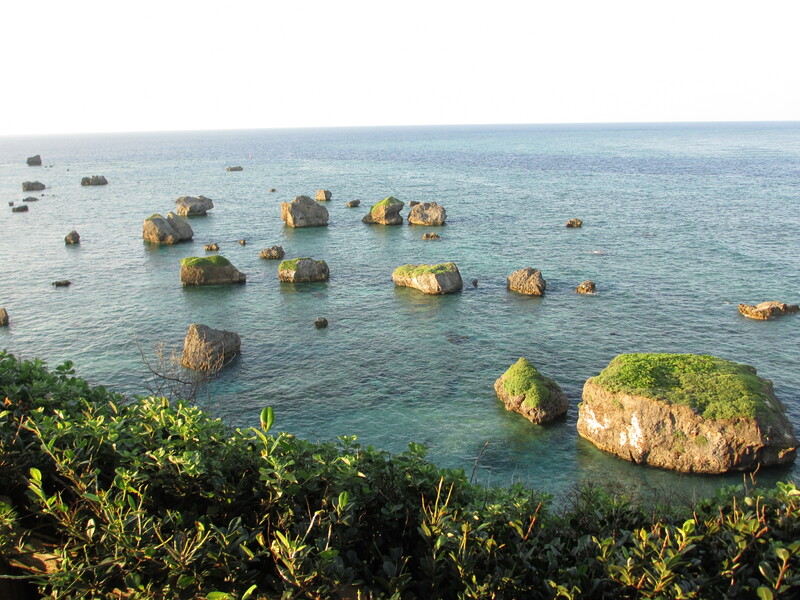 And rarely spend more than 30′ overall, even in Miyako, where there is really little else to do. So during my two months here, I could enjoy the most beautiful beaches in Japan, like the stunning 7km long Maheama, plenty of time just by myself. And even if I never remained at a beach longer than a couple of hours, I did not notice once someone who was there when I arrived and still there when I left. I was in Miyako during the busiest period of the year: the yabijy, the Strongman Thriathlon, Golden week. But even in those special days I never experienced a crowd or saw someone in a rush. Miyako is an ideal place for exercising, and I tried to exercise every day, being it cycling, running, swimming, karate or just going for a walk. I spent as much time as possible with Ayako, but most of the time I was in front of a computer pretending to study Japanese or just writing, browsing, too often wasting time. In my plans I wanted to do some volunteering in the fields to learn about farming, but for one reason or another it didn’t work. If I stayed 2 months in Miyako it’s because of Ayako, who, after working for years as a tour guide, moved here 4 years ago from Tokyo to work for a big hotel. We connected immediately and soon she become more than a guide, more than a friend. Ayako is in love with Miyako, and while living last year in Colombia I discovered how good is Ajaco, in Miyako I quickly learned to love Ayako. What do you like about where you are? Dislike? 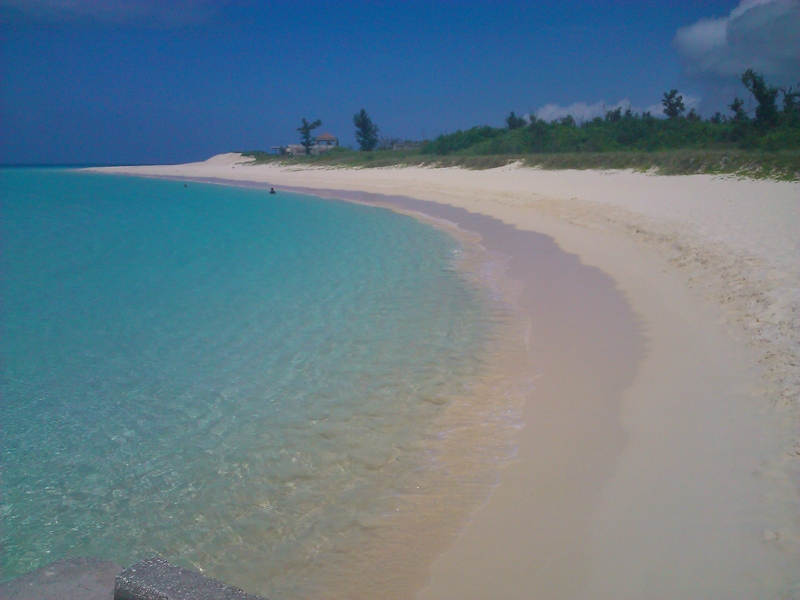 Miyako is a paradise island: white beaches, blu waters protected by corals. the people proud of their traditions but authentically welcoming with the visitors. Apart a bunch of English teachers there are no expats. Even the number of Japanese visitors is surprisingly low, despite all the talk of a “boom”, which probably lies more in the wishes of the local tourist office that in the real traffic. This is a place that if you are not scared by silences and tranquillity, you can feel yours in a couple of days. Disliked: Otori with awamori: local men gather together drinking and drinking, following this ritual that in turn someone has to give a speech before pouring his cup and everyone else in the circle. It may sound funny, but I don’t like the taste of Awamori and I don’t like getting stupidly drunk at the same speed a japanese leave a beach. Studying Japanese. I love learning languages and I can proudly affirm I am able to sustain advanced conversations in four (and half) different idioms, but learning Japanese, his 3 alfabets, words that has nothing resembling a translation in a language I know, proved to be too much for me. I am leaving Japan after 3 months frustrated, because I am still lost even in a basic exchange. What new lesson did you learn? I don’t recommend you to travel without an insurance like I am doing, even if in most of the countries is not really necessary, but when you are in an expensive country and have to face a medical emergency you can’t always count of the generosity of Dr Uechi, that because I was sent by his friend Tomori, our karate sensei, blabla. In fact I had to go to the hospital again in Okinawa, just before leaving Japan, and it cost me 5.000 Yen for a simple check up. My tourist visa expired and it’s time to to leave Japan. I will go back in Miyako and with Ayako in August, but before I am going to discover a new country, Korea, and come back to one of my favourites: Malaysia. what about Miyako ancient culture? 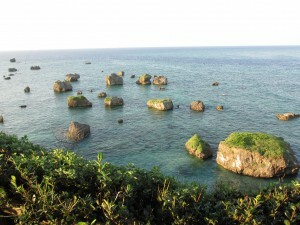 Is it really similar to Okinawa with the centenaries and their nutrition habits? Miyako culture is similar to Okinawa although in both islands they will details all the differences that you may not notice. In Miyako men drinks a lot and so they don’t live as long as women do. I bought a new swimming cap because I got annoyed by my old one pulling out my hair all the time. It’s so much better because it’s made of neoprene, like wetsuit material. I’d recommend them to everyone who is annoyed by the painful latex hats.